Hacker-Pschorr is my most favorite beer. To me, it tastes like ice cream. It’s a dessert on its own! Beer for dessert? Sure. 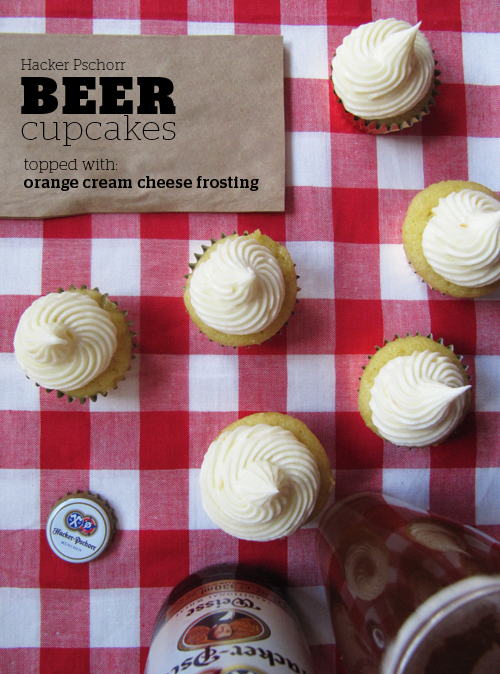 Beer IN a cupcakes for dessert WITH a beer? Even better. My friend, Alex, loves this beer as much as I do, and it was his birthday over the weekend! So you better believe I made these and brought them out to the bar. We totally drank tall boy beers with them. And toasted with cupcakes. Why not, right? Preheat your oven to 375°F. 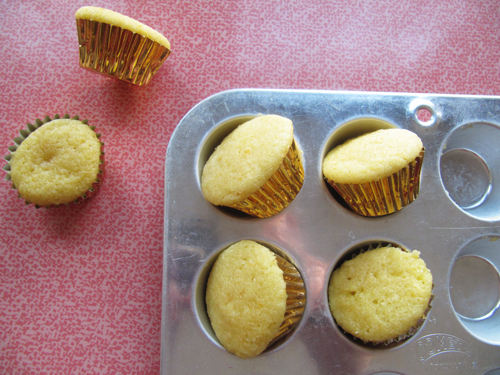 Line mini muffin tins with paper liners. Set aside. Cream the butter with an electric mixer for 1 minute. Rub the orange zest into the granulated sugar and add to the butter. Cream together for 3-4 minutes. Add the eggs one at a time, scraping down the bowl after each addition. Add vanilla and mix until combined. Meanwhile, sift together the flour, baking powder, and salt. In a separate small bowl stir together the beer and milk. Alternately add the dry ingredients and the wet ingredients, beginning and ending with the dry. Mix until completely combined. Make sure there aren’t any dry pockets on the bottom of the bowl. 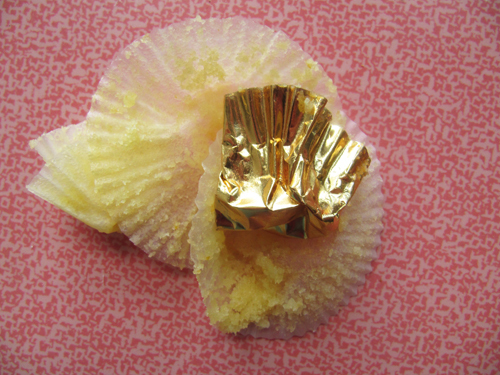 Fill cupcake liners using a cookie scoop until they’re about 1/2-2/3 full. Bake for 10-12 minutes or until golden brown, set in the center, and a toothpick inserted in the center comes out clean. Cool completely on a wire rack. This frosting looks like Jimmy Neutron’s hair. 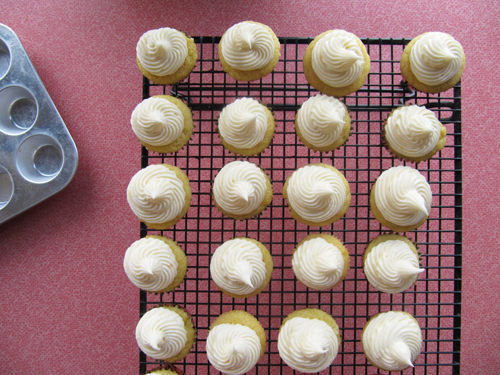 Beat together the butter and cream cheese with an electric mixer. Slowly add sugar 1/2 cup at a time until all the sugar has been added. Stir in the orange juice until fully incorporated. 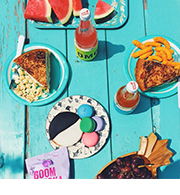 Pipe onto cooled cupcakes or spread on top with an offset spatula eat four then chug a beer. YAY! Click HERE for a printable PDF of the recipe above! This is art to me. 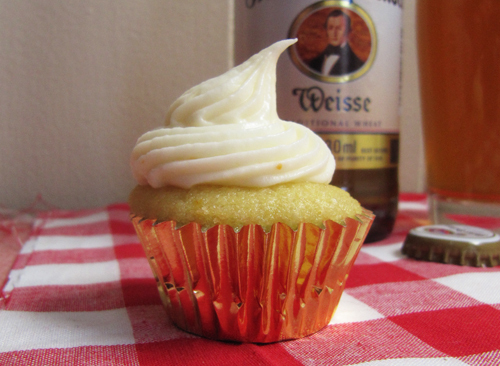 everyone should toast beers and cupcakes on their birthday…for pschorr! Excellent ideas! 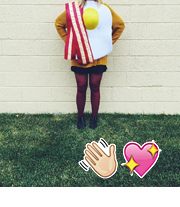 Baked goods at the bar, ice cream beer cupcakes, cheering with cupcakes…you know how to live, girl. I wish I could just go to the party store and pick up six more of these! If only! I’m glad you liked them! Amazing. 2 of my favorite things. Yes! We love the same things. Oh my word you’re so right about the cupcake hair! I mean, the Jimmy Neutron hair ON the cupcake. Damn girl, beer and cupcakes. Fo real? I think you’re bonkers and completely lovable! You have a new fan!